Early beginnings often produce early results. Bengal’s Soumyajeet Ghosh is a living testimony to it. Started playing table tennis at the age of five, it got a victory in a U-12 national cadet championship to get him hooked to the game. In 2008 he caught the eye of coach Bhawani Mukherji while playing at the Junior Commonwealth Games in Pune and was soon training under his guidance. In 2012, still in his teens, Ghosh managed to reach the London Olympics. However, his big moment came when, he at the age of 19, defeated one of the best tennis table players of India, Sharath Kamal and became the youngest to win the National Table Tennis Championships. 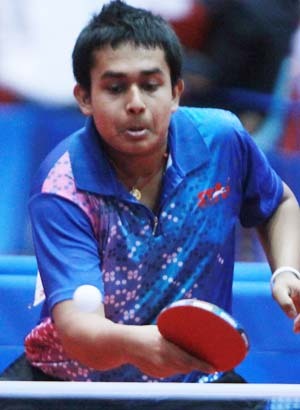 Ghosh defeated his Indian compatriots Sharath Kamal, Anthony Amalraj and Harmeet Desai in the South Asian Zone qualification event to qualify for the Olympics at Rio.